In the video above, click on the arrow in the middle of the picture to hear the Peter Banting SWINGTET peforming at a a garden party. Our base is in Hamilton, Ontario and normally we take engagements that are within a 100 km radius of Hamilton. 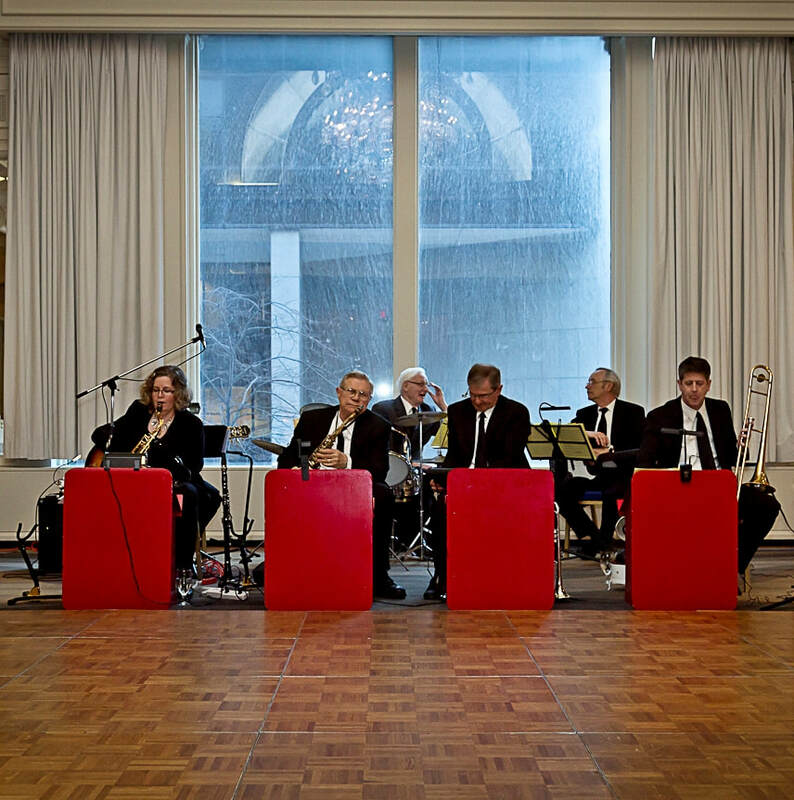 You can inquire about the band's availability and rates by sending an email to swingtet@bell.net ﻿or by filling out and submitting the form at the bottom of this page﻿. 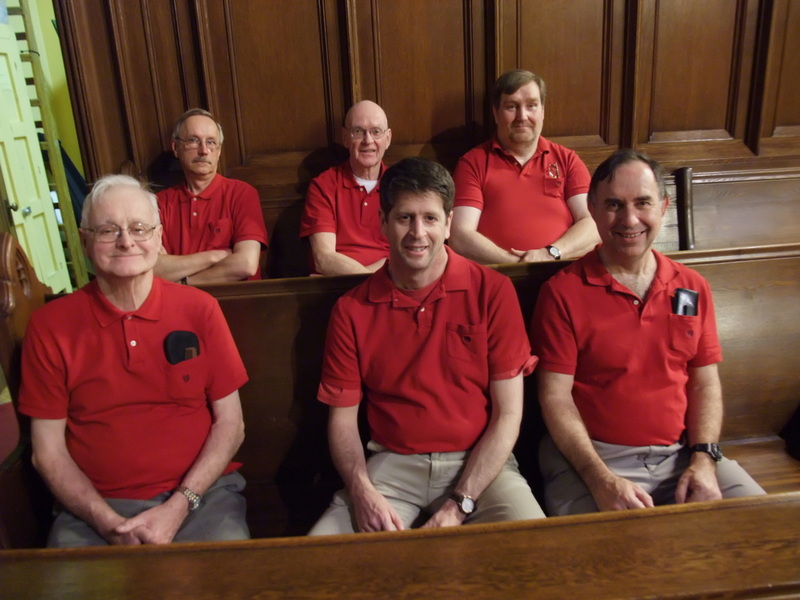 Dan Runions, trumpet; Front row: Colin McDermott, drums; Keith Kindree, trombone; John Stephen, guitar and vocals. The SWINGTET client should provide seven chairs without arms (or advise us if we need to bring our own). Folding bridge chairs are fine. We are comfortable playing in either indoor or outdoor settings. Electrical power (110 V grounded outlets) must be available to the band. The band footprint is a rectangle of approximately 100 square feet. We do not require a piano. At out-door locations, the band should be screened from the sun or, if possible, should not be facing into the sun. Provision of a sound system, if desired, is the responsibility of the client. To send a message to Peter Banting . Fill out form and click "submit"